Nothing says the South like streets lined with beautiful magnolias! Our HMagnolias candles bring to mind these grand trees and beautiful blossoms. This is one of our most popular fragrances that is sure to be a warm-weather favorite! Scent from Savannah has created a custom line of natural, soy wax fragrance candles made in Historic Savannah with love! Magnolias – Nothing says the South like streets lined with beautiful magnolia trees! Our Magnolias candles bring to mind these grand trees and beautiful blossoms. This is one of our most popular fragrances that is sure to be a warm-weather favorite! Anyone who has been to Historic Savannah knows that the one of the best places to eat is the Old Pink House. This amazing Georgian mansion is an outstanding example of colonial architecture. 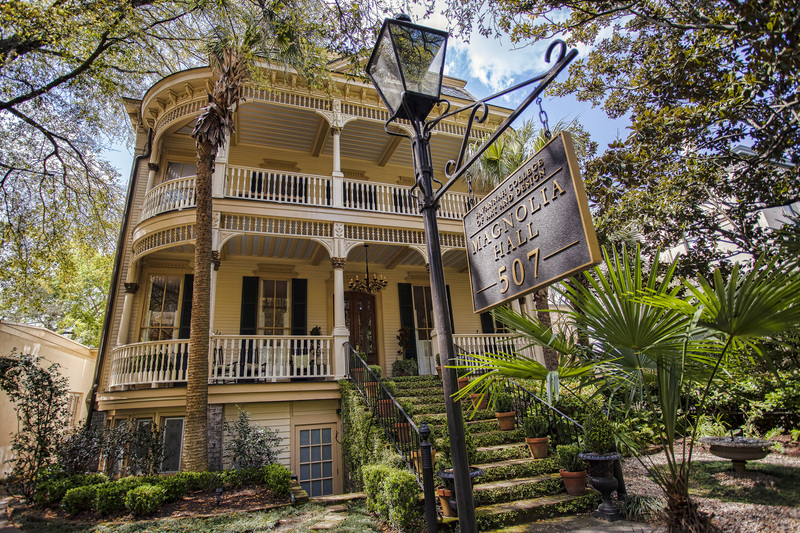 It was built in 1771 for James Habersham Jr., who was one of Savannah’s most important early cotton factors. It was also one of the few buildings in Savannah to survive the fire of 1796.